The Stern-Brocot tree T (from ). 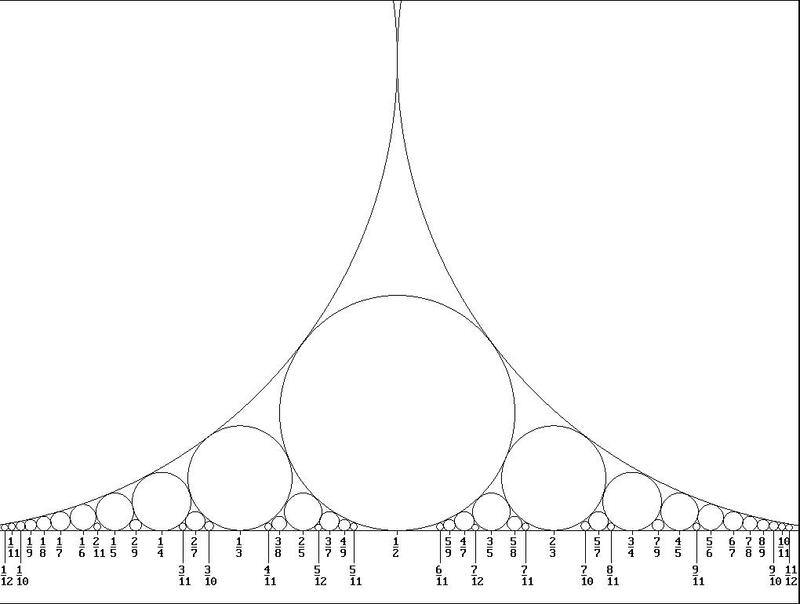 The branch consisting of 1/2 and its descendants corresponds to the previous picture. We can construct the Stern-Brocot tree T without reference to the extended tree by the following recursive rule: each fraction is the mediant of its closest ancestor to the left and its closest ancestor to the right, where a “left ancestor” of is an ancestor which is less than and a “right ancestor” is one which is greater than . (a) Every triple occurring in has . Proof: A simple calculation shows that the mediant of two distinct fractions and is always strictly between and . (b) For every triple occurring in , we have , where . Proof: This holds for the root node, and a simple calculation shows that if it holds for a given node then it also holds for both children; the result follows by induction. (c) Every fraction appearing in is reduced. Proof: If are reduced and , then and thus the GCD of and is 1. The result now follows from (b) by induction. (d) Given , let be the least common ancestor of and . Then iff is a descendent of (or equal to) the left child of and is a descendent of (or equal to) the right child of . Proof: Again, this is a straightforward induction. (e) No fraction appears more than once in . Proof: This follows immediately from (d). (f) For every triple occurring in , has a smaller denominator than any other fraction between and . It follows that , and the right-hand side is the denominator of . If equality holds, then , which implies that and . (g) Every reduced positive fraction appears in . Proof: (Sketch) Assume for simplicity that (the general case is similar). We claim that appears at the latest in row of . Indeed, if has not already appeared by row , then there is a triple in row of with . By induction and the uniqueness part of (f), it follows that . Every positive real number has a “Stern-Brocot expansion” consisting of a (possibly empty, possibly infinite) string of L’s and R’s determined by starting at the root and moving downwards through . At each stage, we move to the node labeled by unique triple with , stopping if , and we record whether we went left or right in order to reach . Given a real number , the Stern-Brocot triples corresponding to are the triples appearing as vertices in the rooted path in which we just described. The mediants of these triples are called the semiconvergents of . For example, when the corresponding Stern-Brocot triples are , and , and the semiconvergents are . For the inverse-golden ratio the semiconvergents are (ratios of consecutive Fibonacci numbers). The last semiconvergent of a rational number is equal to , and if is irrational then the semiconvergents converge to . The most important fact about semiconvergents is that they give the closest approximations to with a given denominator, i.e., a reduced fraction is a semiconvergent of iff is closer to than any other fraction of the form with . The “trivial” bound in Dirichlet’s theorem would be , since for every positive integer there is a rational number with (and this holds whether or not is irrational). The converse of Dirichlet’s theorem is true as well: if is rational then there are only finitely many reduced fractions with So Dirichlet’s theorem allows us to distinguish rational numbers from irrational ones in a rather interesting and non-trivial way. 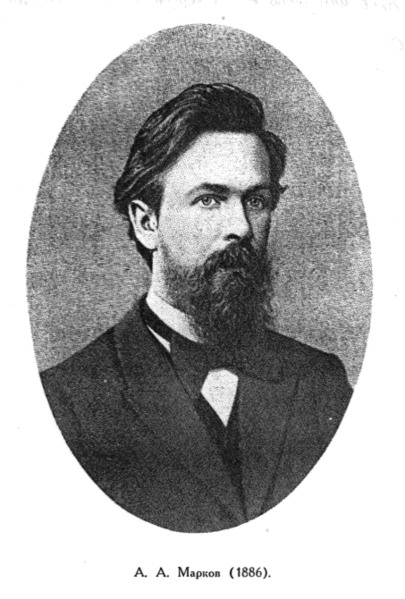 The constant term in Dirichlet’s theorem can, however, be improved. This is the subject of Hurwitz’s theorem, to which we turn in the next section. Dirichlet’s Approximation Theorem has a number of applications, e.g. it can be used to prove that Pell’s equation has infinitely many integer solutions for every non-square positive integer . 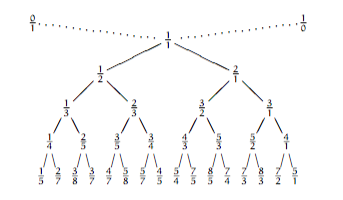 And the Stern-Brocot tree (or, equivalently, the theory of continued fractions) can be used to explicitly find all solutions. Indeed, let denote the other root of the quadratic polynomial satisfied by . Then since has no rational roots, for any rational number we have . Writing , we see that if then After a bit of algebra, we see that this implies , which (since ) cannot hold when is large. As a warm-up, we use the Stern-Brocot tree to give a quick proof of Dirichlet’s theorem. Indeed, we claim that in any Stern-Brocot triple corresponding to , either or must satisfy the conclusion of Dirichlet’s Approximation Theorem. The proof of property (g) above shows that each rational number can appear in only finitely many Stern-Brocot triples, so we’re done once we establish the claim. And the claim is easy to prove: if and , then since and the denominator of is at least as large as the denominator of . Similarly, if then satisfies the conclusion of Dirichlet’s theorem. To prove Hurwitz’s theorem, we refine the above observation by proving that in any Stern-Brocot triple corresponding to , either , , or must satisfy the conclusion of Hurwitz’s Theorem. It suffices to prove this in the case , since if we may replace by , by , and by . Adding these two inequalities gives Using the fact that and simplifying, this is equivalent to where is the golden mean. But then , which is impossible since the is irrational. It’s not difficult to show that -equivalent irrationals have the same Lagrange number. The Lagrange spectrum is the set of all numbers of the form for a positive irrational number. By what we’ve already said, we know that and belong to the Lagrange spectrum. now known as the Markoff equation. 1. The Lagrange spectrum is discrete in the interval . On the other hand, 3 is a limit point of the Lagrange spectrum. 2. More precisely, the Lagrange spectrum below 3 is precisely the set of real numbers where is a Markoff number. As one of the steps toward proving this theorem, Markoff established the remarkable fact that all integer solutions to his equation can be described by an algorithmic procedure similar to the one which we used to define the (extended) Stern-Brocot tree! The observation which gets everything going is that if is a solution to the Markoff equation with , then and are also solutions (in the same numerical order). We’ll call and the degenerate Markoff triples, and all other solutions with non-degenerate Markoff triples. The smallest non-degenerate Markoff triple is . Theorem (Markoff): Every integer solution to the Markoff equation with appears precisely once in the extended Markoff tree. We obtain the Markoff tree M from the extended Markoff tree in the same way that we obtained the Stern-Brocot tree from its extended version: by forgetting and and just keeping the middle element of each Markoff triple. The Markoff numbers are (by the symmetry of the Markoff equation) precisely those numbers which appear somewhere in the Markoff tree. 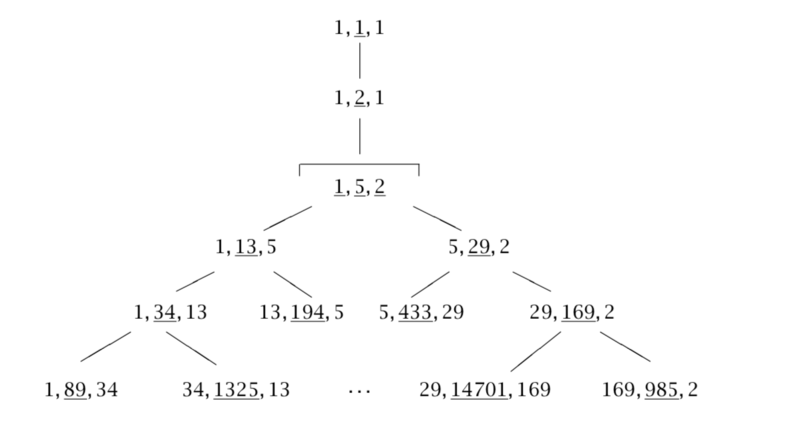 Conjecture (Markoff’s Uniqueness Conjecture, Version 1): Every Markoff number appears exactly once in the Markoff tree. Conjecture (Markoff’s Uniqueness Conjecture, Version 2): If are irrational numbers with , then . For an extensive history and mathematical discussion of the Markoff uniqueness conjecture (in these and other forms), see the lovely book . Achille Brocot was a French clockmaker who used the Stern–Brocot tree to design systems of gears with a gear ratio close to a particular desired value. Another characterization of equivalence is that are -equivalent if and only if their continued fraction expansions coincide from some point onward (i.e., they have the same “tail”); see  for additional information. 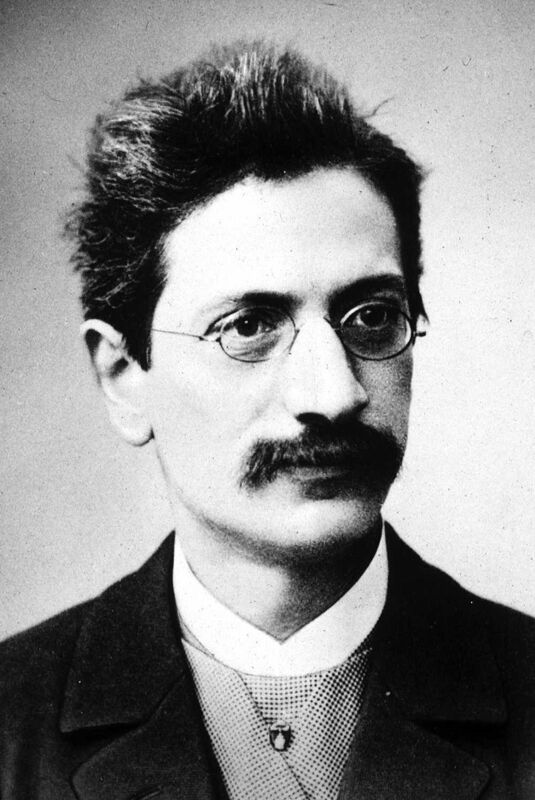 There is a real number , called Freiman’s constant, such that every real number greater than belongs to the Lagrange spectrum but for every there is a real number in which does not belong to the Lagrange spectrum. Explicitly (as you would no doubt guess), In the interval the Lagrange spectrum is complicated (a fractal-like blend of discrete and continuous parts). M. Aigner, Markov’s Theorem and 100 Years of the Uniqueness Conjecture, Springer-Verlag, 2013. R. Graham, D.E. Knuth, and O. Patashnik, Concrete Mathematics (2nd edition), Addison-Wesley, 1994. J.D. Sally and P.J. Sally, Jr., Roots to Research, American Mathematical Society, 2007. This entry was posted in Elementary number theory, Transcendence theory and tagged Diophantine approximation, Markoff equation, Stern-Brocot tree. Bookmark the permalink.